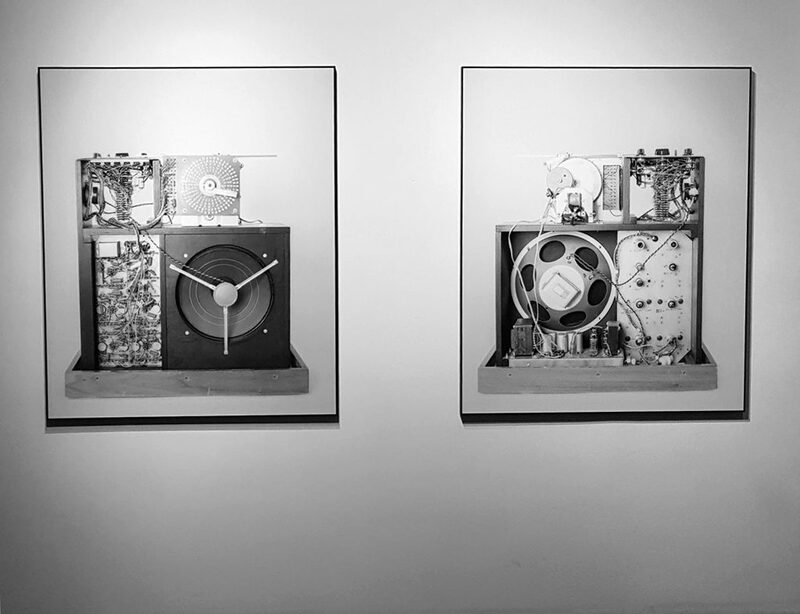 “Shimmer Generators V.2D” is a photo series that peers into the intricately hand-wired world inhabiting obsolete sound reproduction technology. 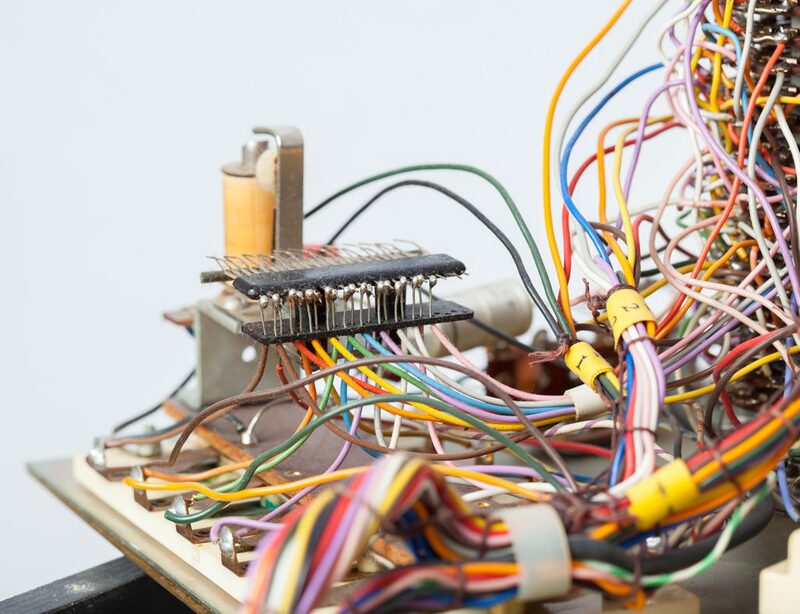 The site of this photographic investigation takes place inside the revived sound generating circuitry of the very rare Sideman 5000, the world’s first commercially available drum machine, invented by Wurlitzer and brought to market in 1959. 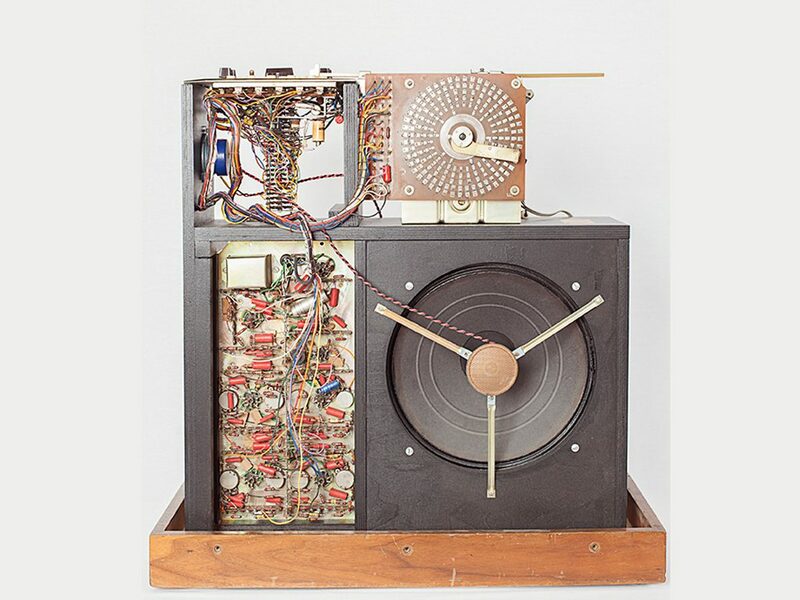 Though this electro-mechanical musical instrument was built to be repaired and serviced as it aged, it had a rather short commercial life. 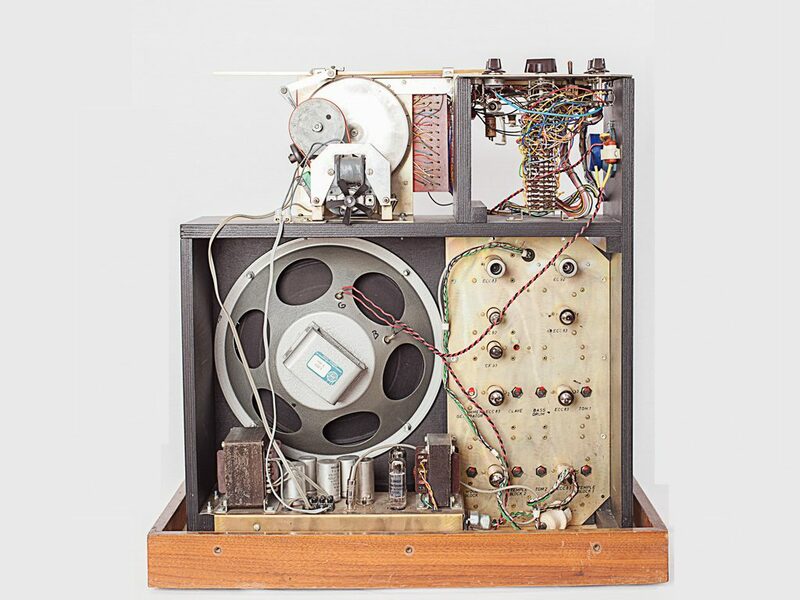 It was quite giant, weighting over 70 pounds, very expensive and rapidly being replaced by much smaller transistor based electronics, most Sidemans ended up in the garbage. 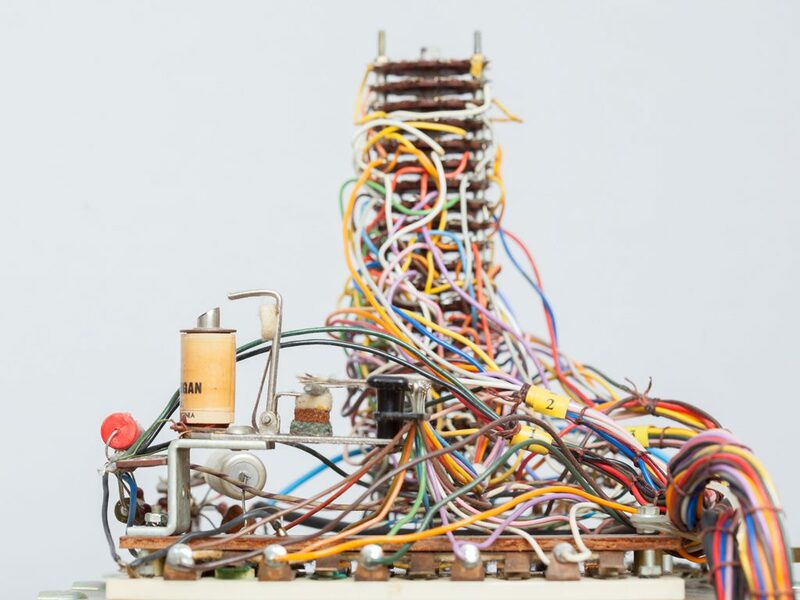 These photos are part of the artist’s media-archeological dive into the machine.